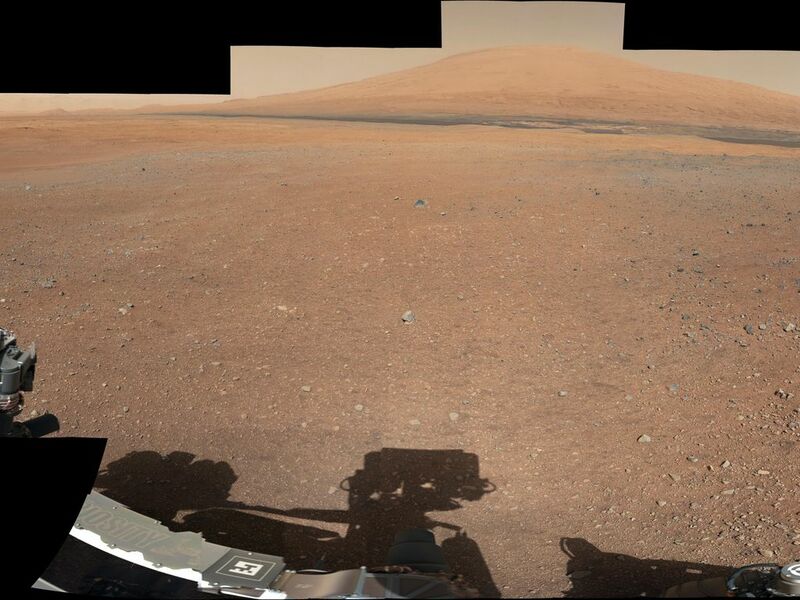 This color panorama shows a 360-degree view of the landing site of NASA's Curiosity rover, including the highest part of Mount Sharp visible to the rover. That part of Mount Sharp is approximately 12 miles (20 kilometers) away from the rover. The images were obtained by the rover's 34-millimeter Mast Camera. The mosaic, which stretches about 29,000 pixels across by 7,000 pixels high, includes 130 images taken on Aug. 8 and an additional 10 images taken on Aug. 18. These images were shot before the camera was fully characterized. 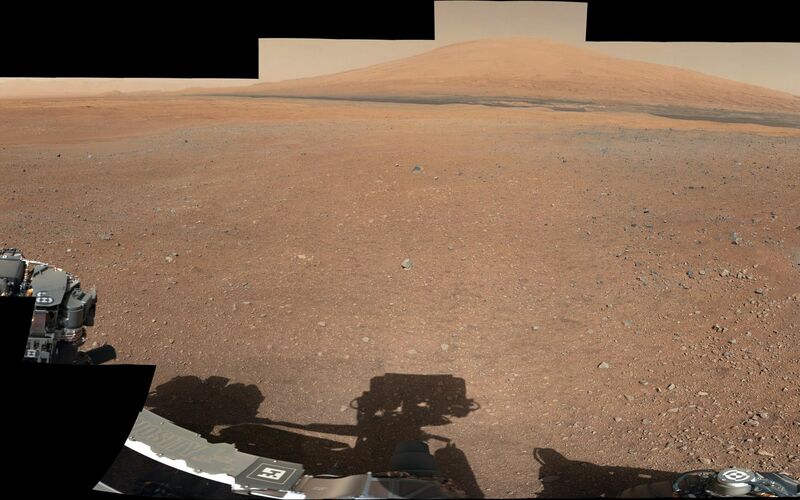 Scientists enhanced the color in one version to show the Martian scene as it would appear under the lighting conditions we have on Earth, which helps in analyzing the terrain. A raw version is also available.